It’s that time of year again, when excited travel enthusiasts from all over Ireland converge at The Holiday World Show in Dublin. 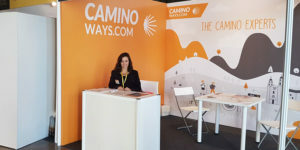 As always, the Caminoways.com team will be on hand to offer advise on all things walking, cycling and Camino. One lucky entrant will win a whole week on The Camino! 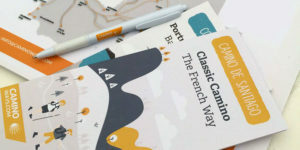 We’ll also have six €100 vouchers for runners up to be used against your next Camino trip. We’ll have an entry box at our stand so make sure you chance your luck! If you don’t manage to win a prize, don’t fret, we also have an exclusive 10% discount available for everyone who visits us over the weekend. What better way to kick off your 2018 than booking the trip of a lifetime? If you have never done The Camino we’ll have all the information you need to plan your first trip. Seasoned Camino lovers looking for a new challenge might be interested to talk to us about the 4 new routes that we have for 2018. The exciting news doesn’t end there. 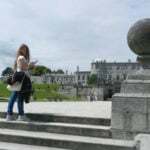 Phil Cawley, Today FM DJ and friend of Caminoways.com, will be speaking about the ancient trail as part of a panel discussion. Phil joins journalist Eoghan Corry on the stage along with a host of other experts to talk about travel trends at 3,30pm on Saturday 27th. If any potential trade partners would like to make an appointment to meet us over the weekend just pop us an email at info@caminoways.com and we’ll can arrange a time that suits. 1ST PRIZE WINNER: Ronnie Counihan, congratulations! you are the winner of a trip for two people on the wonderful Portuguese Coastal Camino! Congratulations and thank you for coming to see us at the Holiday World Show 2018! Details on this year’s Cawley Camino can be found here: Cawley Camino 2018.